Whether you purchase or recommend purchasing, a service contract is a smart move. PPT’s comprehensive service programs ensure years of trouble-free operation by offering a wide range of options to keep systems up and running efficiently. Our technology and manufacturing expertise are well known and respected. We not only build your system, but we’ll also ensure years of trouble-free service with our comprehensive service programs. We offer a wide range of options to keep your system up and running. Our Responsive Services Go Beyond Answering Your Call. The WPS experts will quickly determine the issues and respond immediately with timely on-site solutions. We don’t just answer the phone and set up an appointment ‘sometime in the vague future’ – we promise a dedicated service technician, onsite within 24 hours, seven days a week. Controlling microbial growth in your RO/DI System is critical to performance. 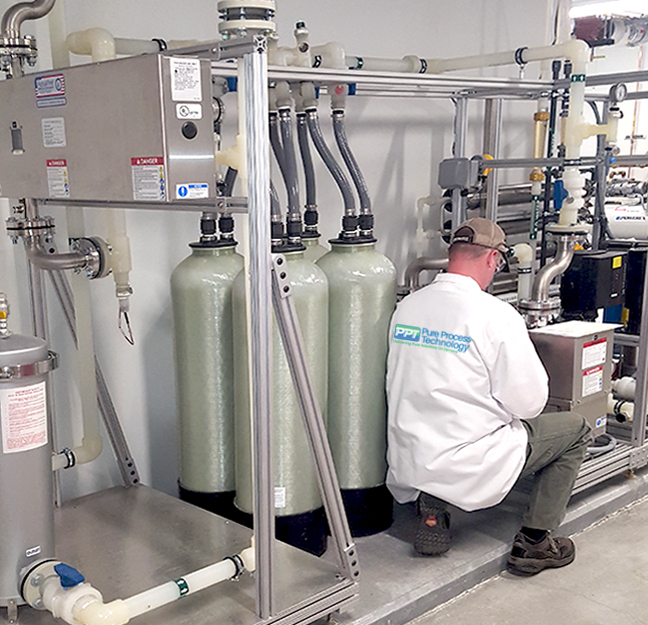 We can handle all aspects of sanitization from Pretreatment all the way through to the RO unit, and the Distribution Loop in your facility. Ensuring your system is performing properly can be critical to your process. 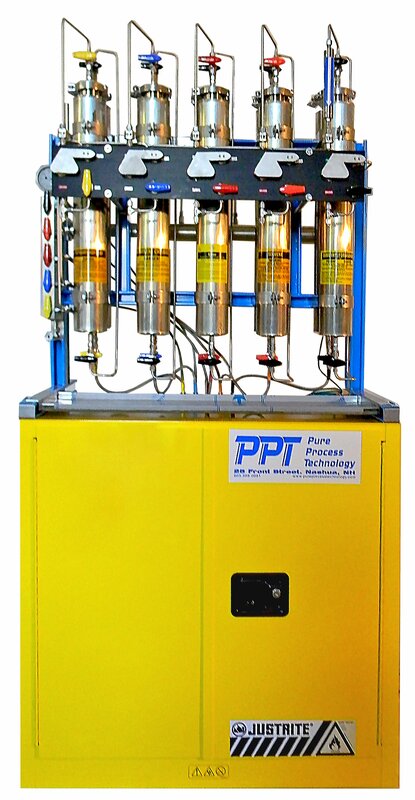 PPT can provide the expertise to analyze, test, and optimize your current RO/DI system. Non-performing systems are costly and, in many cases, burdensome to maintain. Helping customers understand High Purity Water is what we do. When facing decisions that will impact your budget, manpower, and most importantly, your process, contact PPT for our application support. We offer guidance on the most cost-effective solutions to meet your long-term needs. Using our 3D CAD and other engineering programs we can offer full customization based on our standard product offering. Our ability to customize our systems to meet your specific requirements is unmatched in the industry. Optional installation is offered for all systems we manufacture. With this service we will come into your Lab to set-up, commission and train all users on your new SPS’s. We highly recommend on-site training for Labs that are purchasing their first SPS. For those with in-house service, PPT can supply all the correct OEM parts required. We are master distributors for all the major suppliers and can offer competitive pricing along with stocking programs.